Merita CQA Inc. provides expert quality assurance support services, training for clinical researchers, investigators and study coordinators, and all services related to the establishment and ongoing management of Data and Safety Monitoring Boards (DSMB). Montreal, November 5, 2013 – ethica Clinical Research Inc. (ethica) is proud to announce that its Human Research Protection Program (HRPP) which includes the services of its subsidiary companies, Veritas IRB Inc., ethica CRO Inc. and Merita CQA Inc., has been awarded accreditation by Alion HRPP Accreditation Services (Alion). ethica is the first privately-owned company as well as the first Canadian company to be accredited by Alion. In 2006, ethica made history by becoming the first Canadian company and first CRO in the world to be accredited by AAHRPP (Association for the Accreditation of Human Research Protection Programs); the only accrediting body at that time. 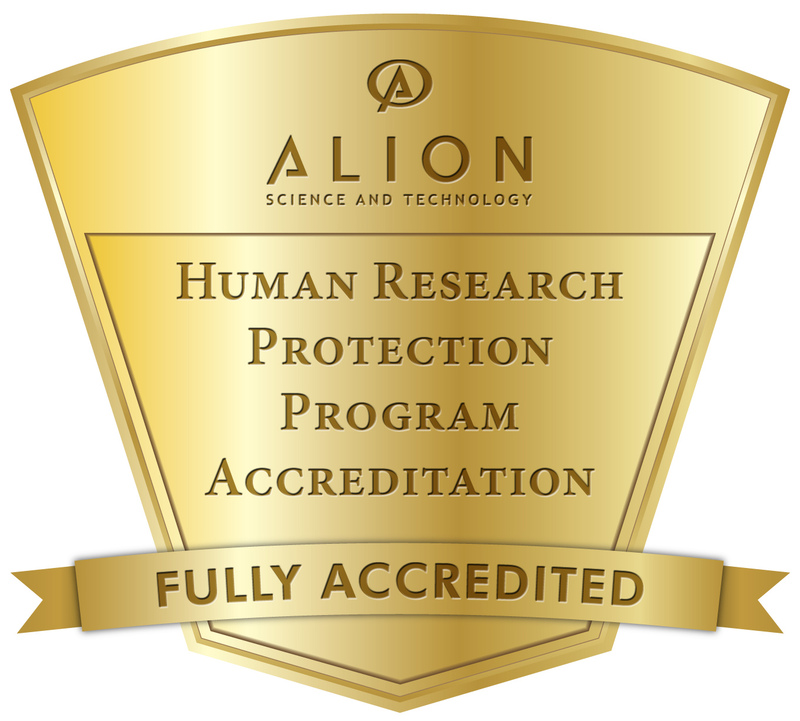 Earlier this year, Alion provided the clinical research industry with an accreditation alternative by making its HRPP accreditation services more widely available. ethica selected Alion based on its long history of oversight, its practical approach to accreditation, and its commitment to continuous improvement of its accreditation standards. These attributes were validated during the accreditation process; Alion’s review was rigorous yet void of any unnecessary rigidity, according to Martin Letendre, Managing Director of Veritas IRB. Accreditation by Alion acknowledges ethica’s long-standing commitment to the protection of human research participants’ rights and welfare. As part of the accreditation process, the Alion Council on Accreditation also recognized two Exemplary Practices of ethica; the independence of Veritas IRB’s board members to approve, modify and disapprove research (Alion Standard #6) and, the excellent procedures and practices of Merita CQA for monitoring and auditing to ensure compliance and quality assessment and improvement (Alion Standard #11). About ethica Clinical Research Inc.
ethica Clinical Research Inc. provides services to sponsors of clinical research worldwide through its wholly-owned subsidiaries. ethica CRO Inc. is a full-service Contract Research Organization (CRO) that conducts and manages ethical clinical research on drugs, biologics, medical devices, cosmeceuticals and natural health products to international clinical research sponsors. Veritas IRB Inc. is an experienced and transparent Independent Review Board (IRB) committed to ensuring the safety, rights and well-being of research participants.Merita CQA Inc. provides internal support to the corporation and expert quality assurance services and training for clinical researchers, investigators and study coordinators. For further information visit: www.ethicaclinical.com. As an established provider of clinical study management and ethics review services, ethica believes that the rights and welfare of research participants are of paramount importance in the conduct and oversight of its clinical research worldwide. HRPP accreditation by an independent, industry-recognized organization confirms that ethica’s processes ensure the respect and protection of human research participants, and that its services exceed the industry's standards. ethica’s evaluation of accreditation vendors considered a number of relevant factors including the vendors’ accreditation experience, governance, reputation, rigor, transparency and level of resources dedicated to their accreditation programs. Not only did Alion rate highly on these criteria, but it distinguished itself by its practical, collegial approach, and its commitment to continuous improvement of the accreditation process driven by experience, client interactions and emerging trends in human research. ethica made history in 2006 when its HRPP was fully accredited by the Association for the Accreditation of Human Research Protection Programs (AAHRPP), becoming the first Canadian company ever to be accredited, and the first contract research company ever to be accredited worldwide. In 2009, ethica’s HRPP was re-accredited by AAHRPP through December 2014.
ethica Clinical Research Inc. provides services to sponsors of clinical research worldwide through its wholly-owned subsidiaries. ethica CRO Inc. is a full-service Contract Research Organization (CRO) providing a complete range of clinical study management, site monitoring, data management and biostatistics services. Veritas IRB Inc. is an experienced and transparent Independent Review Board (IRB) committed to ensuring the safety, rights, and well-being of research participants. Merita CQA Inc. provides expert quality assurance support, clinical research and research ethics training services, and all services related to the establishment and ongoing management of Data and Safety Monitoring Boards (DSMB). For further information visit: www.ethicaclinical.com.